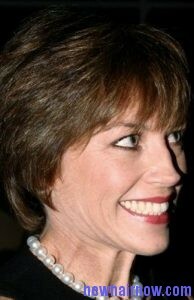 Dorothy Hamill short hairstyle was popular in the 1970s and it can be created using a wedge haircut. This hairstyle was worn by Dorothy Hamill in the Olympics held in 1976. The hairstyle look similar to the short bob behind your head and it curve inward as well as back to compliment rounded face. The hairstyle usually looks with all type of hair. To create short hairstyle like Dorothy Hamill, begin your styling by collecting most of your hair at the top and try to cut your hair bangs as per your wish that must drop straight down from your head. Cut perimeter of hair that is at the back of the neck which will vary depending on hair of the person. It can normally range from over the shoulders to near your ears. 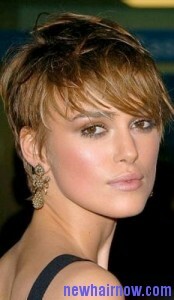 Leave rest of the hair and just cut it as your desired length. 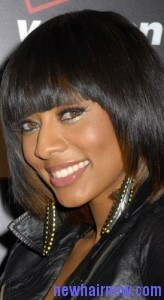 Try to part your hair down that was cut and make a strong weight line over top of the head. Next brush your hair out keeping about 90 degree angle using your weight line and parallel to the floor to make a distinctive look. 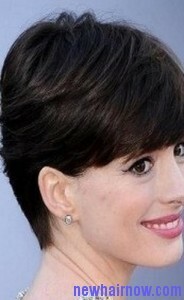 Cut your hair at descending angle from end of your weight line to make a diagonal line using the hair. Do angled cut all the way around the head and try to leave all of your hair long than rest of your hair. Head wraps are the perfect solution to cover your hair which is short. There are few ways that must be followed while wearing the head wraps with short hair. Most of the people will struggle to wear the head wraps in a proper way as it can come out easily in case you fail to wear it in the right way. Always wear these head wraps only when you feel comfortable with them and stay away with them if you feel it like a burden over your head. The head wraps can look good if you wear it with that hair that is short at the sides and long on top of the head. But you can also wear them with other type of hair by following a proper method. Make sure to leave the bangs from your hair to stick out of the head wrap in from of your head after the styling process. 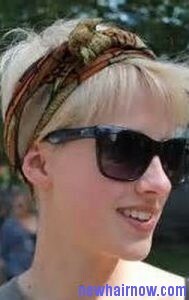 The shorter haircuts can give a great look, but covering it with the head wrap is left to individual’s choice. After wearing the head wrap you can get a very unique look that can be made to look styling with a proper dress. 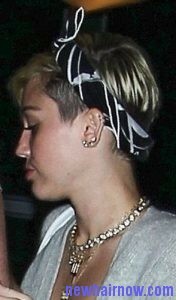 Try to match the hairstyle with other accessories such as earrings and more. 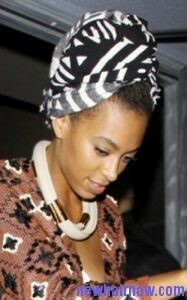 The head wraps can also be worn with short to long hair, but wearing it with proper ways can give a outstanding look. A medium layered emo features has 3 different layers inside one inch in first two as well as third layer falling 3 inches after second one. The hair layers will be unattached in a sense which they do not follow a pattern of an inch between the layers. To cut an emo hairstyle with layers use upto four ponytail holders and rat tail comb. First decide on how many layers you are planning to have an haircut. This hairstyle usually needs three to four layers depending on the length of the hair. Divide the hair by going from temple to temple and making it forward one section from there. Go from behind your ear just below the crown of your head and back down to behind the other ear. The final section of hair will be left in the back of your head and all sections must be secured with hair ties. First section of the hair must be brushed forward to cover the face completely and to make it more manageable. Hold a section of the hair in front of the face one or two inches from your nose. The second section must be brushed forward and cut at the same point one to two inches past the nose. The third section will be brushed forward to cut the hair about two to three inches past the nose. Use your finger to comb the hair and then create more jagged ends by clipping the sections throughout the hair. To begin your cutting process, clean your entire hair with a shampoo before applying a hair conditioner on daily basis. Then make a part straight down over the middle of your head and blow dry your entire hair as usual. Now secure your hair in place using a pin and brush it towards the back of the neck. Look into the mirror while cutting your hair using the scissors and make sure to do this gently. The haircut must look even, so try to place your comb at an angle and it should stay away from your cut hair section behind the neck down the chin. 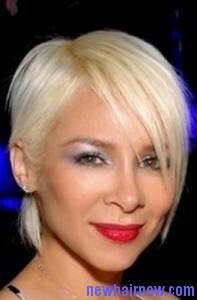 Then cut your hair below the brush with slanted tilt and move towards the right side of your hair. Brush the hair by pointing it over the cut section behind your head and also near your chin to make it look perfect. 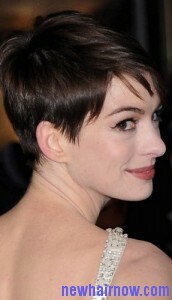 A sideswept crop hairstyle is one of the most unique way of styling the hair which is short. It is a normal crop haircut where the hair in front the head will be swept across your forehead. There are many people who style their hair like when it short to achieve the unique look. It is also a trend of styling the hair that has been there from a long time and also liked by many. Here is a one of the simple method to style the hair in this way without using any chemicals. But you must get the crop haircut before styling the hair. 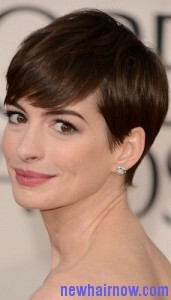 To create a sideswept crop style, first you must cut the hair as usual to achieve the cropped look. After cutting the hair try to wash it as usual and condition it with a proper conditioner. Try to wash the hair carefully as an unwashed hair will cause problems while styling it in this manner. Then brush the hair to take out the tangles and use a small amount of heat straightening hairspray all over the hair. Now use a blow dryer to make the hair dry and make sure to comb the hair during this process. Next add little amount of styling cream in between the fingertips to seep your hair across the forehead starting from a side to another. At last mist the properly with a hairspray to create more hold in the hair. Having a round face needs a good haircut to make it look beautiful. There are few haircuts where the layers are left long to make the face look narrow. Here are few things that can be considered while getting a haircut for the round face. You can create any type of hairstyle with the round face, but it is important that the length of the hair must be medium or long. Creating a short haircut can make the face look bad and it is also not recommended. The hairstyle that needs to be avoided with the round face is the bob as it can spoil your entire look. Try to select the haircut that can keep your hair medium to long in length. You must create the length and it must draw your eye down to make the face look wide. There is no need to keep the hair width as you will be making the hair look longer. Try to add volume at the bottom of your hair than getting it done all over. Avoid getting the hairstyle where the hair will start to move across your face. You can also add more volume in the hair on top of the head, but it can only create the illusion of a long hair. Stay away from the hairstyle that will be able to create horizontal line at the widest area of your face. The mod hair bob is known to be a beautiful hairstyle which has been popular from a long time. It is very much popular among many people as it can be worn by anyone with short hair. 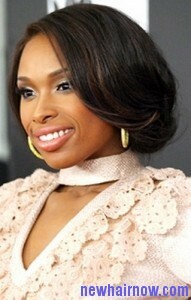 The mods normally wear this style hairstyle along with with heavy bangs and texture around their head. There are few celebrities who wear this hairstyle style to get the look and you can follow this technique to get it. It is a hairstyle that is usually dependent on the hair texture and adding more volume into hair is very important before starting your process. 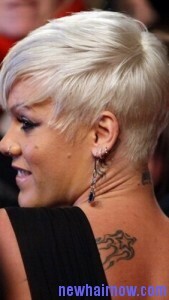 A normal bob usually created from the nape of the neck and it can end near jaw line. To get this mod hair bob you must create shoulder length hair along with the blunt cut where the bangs must stay below the eyebrow. This is a very easy hairstyle that can be created at home with the help of hair straightening iron. Then apply small amount of hair frizz-fighting gel all over to make the hair look straight and try to round the hair ends toward your face. 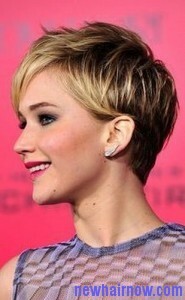 The mods are known to select a geometric hairstyle that can be blunt and also angular. Try to get a support from hair specialist while creating the mod look for the first time and then you can continue the same method at home. 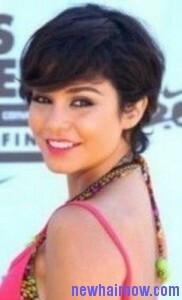 Curly looking under bob can give the perfect look that you are planning to achieve with a short hair. This hairstyle can look stylist if you match it with a proper outfit. Most of the people want to make their short hair look really amazing with few simple styling techniques, but it can be made more outstanding if you curl the bob under. Make sure to use the styling tools such as blow dryer and flat iron in a proper manner without causing damage to your hair. Begin the styling with a completely washed hair and use a pre-styling hair product like a gel on the hair to add more texture in it in case it is too thin. You can also apply hair products such as serum if you have a thick hair. Next use a blow dryer to make the hair dry along with the paddle brush and keep the hair slightly wet. Then create different section in the hair during the blow drying process to support the bend in your hair. Now use the flat iron all over the hair strands starting from the neck and try to make the hair ends straight to maintain the volume in it. Try to tuck your hair straightener slightly under while reaching the hair ends to create under-curl look. At last mist the entire hair using anti-humidity spray and brush the entire hair just using your fingers curling the hair ends under.